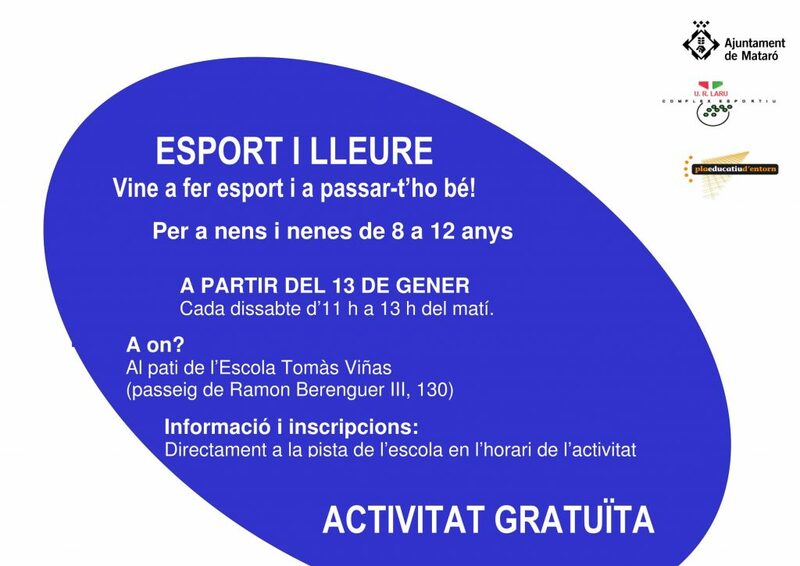 EL PROPER DISSABTE 13 DE GENER S’INICIA A L’ESCOLA TOMAS VIÑAS L’ACTIVITAT ESPORT I LLEURE 2018. ES TRACTA D’UNA ACTIVITAT GRATUÏTA PER A NENES I NENES ENTRE 8 I 12 ANYS PER TAL QUE PUGUIN PRACTICAR ESPORT I CONÈIXER GENT NOVA. AQUI TENIU LA INFORMACIÓ I US ANIMEM A PARTICIPAR-HI!